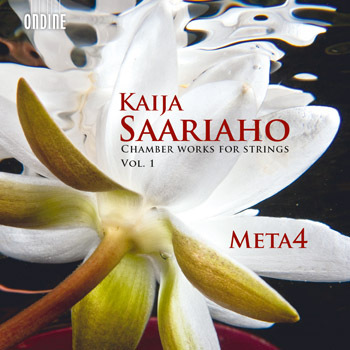 This is the first of two releases of Chamber Works for Strings by Kaija Saariaho. The second will be released in 2014. Kaija Saariaho is renowned across the world for her vivid orchestration. Her chamber works highlight her ability to create unique sound worlds with only a few instruments. Here she also adds live electronics to create a unique colour. This release is also a tribute to Kaija Saariaho who turned 60 on 14th of October 2012.